This manual has a frozen content and will be available in its present, unrevised state for at least the next five years. Pilots working towards the JAA ATPL will need the manual during the examination and can familiarise themseleves in advance by ordering a personal copy. 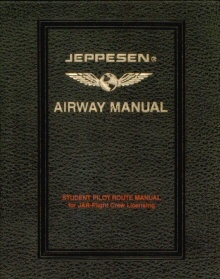 Includes VFR chart set and is packaged in a 2" Superior Plastic 7 ring Jeppesen binder.